Why did the New York Times really sack its editor? Former Times top editor Jill Abramson loved the "story behind the story." Now the media world is alight with speculation about what really caused her ouster. As a media reporter for the New York Times, I was acutely aware that executive editor Jill Abramson favored what she called "the story behind the story." Articles that revealed what was really happening behind the scenes, beyond the on-the-record pleasantries of politics and corporate life, were rewarded with kudos from Abramson and front page placement. Today the news media world is collectively asking for the story behind the story of Abramson's sudden dismissal on Wednesday. Abramson and the publisher of the Times, Arthur Sulzberger Jr., have not fully answered. But Sulzberger's decision to replace Abramson with her deputy, Dean Baquet, has been infused with meaning anyway, by anonymously-sourced stories, terse statements and outlandish claims. I left the Times about six months ago. In all the coverage of Abramson's ouster, this quote, from New York magazine's account of what went wrong, rings truest: "It was just a lot of accumulated backbiting." The executive editor of the Times serves at the pleasure of the publisher. Sulzberger promoted Abramson when Bill Keller stepped down in 2011. But Sulzberger second-guessed his decision and eventually soured on Abramson. Within the newsroom, Abramson was simultaneously beloved and feared. The Times reflected this in its front page news story about Abramson's departure on Thursday. Citing "people in the company briefed on the situation," the Times described "serious tension in her relationship with Mr. Sulzberger, who was concerned about complaints from employees that she was polarizing and mercurial. She had also had clashes with Mr. Baquet." One significant clash between Baquet and his boss involved Abramson's plan to hire Guardian US editor in chief Janine Gibson as co-managing editor. Gibson told her newspaper: "The New York Times talked to me about the role of joint managing editor, but I said no." Stories about tension between Abramson and Baquet first surfaced over a year ago. In this theory about what happened, Sulzberger ultimately sided with Baquet over Abramson. There was also tension between Abramson and the chief executive of the New York Times Co. (NYT), Mark Thompson, whom Sulzberger hired away from the BBC in late 2012. David Folkenflik of NPR reported that Abramson and Thompson disagreed about new video and advertising initiatives. Another theory -- rejected by the Times -- has centered on issues of gender equality. Abramson was the first female executive editor in the Times' history. 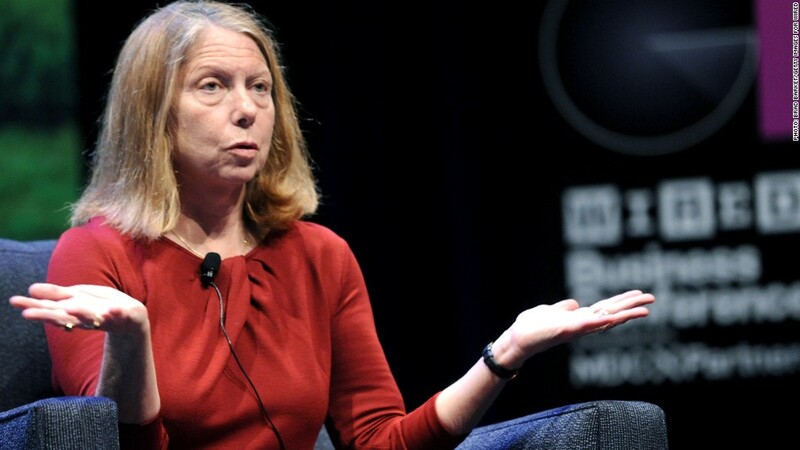 "To many women at the New York Times, Jill Abramson was everything," Amanda Hess of Slate wrote. Ken Auletta of the New Yorker, a close observer of the Times, reported on Wednesday night that he was told Abramson had recently discovered her pay and her pension benefits were "considerably less" than Keller's had been. Auletta wrote: "'She confronted the top brass,' one close associate said, and this may have fed into the management's narrative that she was 'pushy,' a characterization that, for many, has an inescapably gendered aspect." A friend of Abramson's -- that's how this story has unfolded, through leaks from her camp and Sulzberger's camp -- told Auletta that the pay disparity was only resolved after she spoke up about it. But Auletta and other reporters have reiterated that pay was only one area of tension between Abramson and Sulzberger. Nevertheless, it has become, as Gawker put it, "the dominant narrative about what happened." By Thursday morning, the conservative co-hosts of "Fox & Friends" -- no fans of the Times, to put it mildly -- were portraying the newspaper as hypocritical. "The war on women is alive at the New York Times," Steve Doocy commented. On the right, another theory has sprung up -- that Abramson was sacked for speaking out against the Obama administration's leak prosecutions. There is no evidence for that. Abramson has not responded to interview requests. A spokeswoman for Sulzberger has not made him available for interviews, either. "Both sides have signed a nondisparagement agreement; that's normal these days," The Times' public editor Margaret Sullivan wrote on Thursday afternoon. But Sulzberger did send an internal memo to Times staffers on Thursday afternoon to tamp down the accusations of sexism and unequal pay. He said that in 2013, Abramson's "total compensation package was more than 10% higher than that of her predecessor," Keller, in his last full year as editor. "Compensation played no part whatsoever in my decision that Jill could not remain as executive editor," Sulzberger wrote. "Nor did any discussion about compensation. The reason -- the only reason -- for that decision was concerns I had about some aspects of Jill's management of our newsroom, which I had previously made clear to her, both face-to-face and in my annual assessment." Now Baquet will be in charge of the digital expansion efforts previously overseen by Abramson. He added, "One caveat to that: Mark Thompson now gets a new, and likely, easier-to-work-with partner as he accelerates the digital transformation. Expect the pace of new products to further accelerate."